WebSmart App is the newest advertising-supported program that fails to carry out its promises of an improved online experience. This alone is sufficient reason to remove this application from your system immediately. Know that the modus operandi of WebSmart App is limited to displaying the third-party content that manifests itself on your browser as coupons, price comparisons, discount deals, and other forms of online advertising. So, if you have never been a big fan of commercial ads popping up all over your screen, it is best that you delete this program right now. Another thing you should know is that, although programs like WebSmart App are almost never developed having nefarious goals in mind, that does not mean that they cannot be misused by malicious entities to undermine the security of your computer. What’s more, unlike the official promises, it is impossible to download this program directly from this site. This means that the only other way that WebSmart App can reach a target system is via third-party software bundles. These software packages can include various applications, some of which can be unwanted or potentially dangerous, so this distribution method is not as safe as it might seem. Keep off questionable third-party download sites and avoid clicking on fake download buttons if you do not want to end up removing WebSmart App with additional malicious threats. WebSmart App shows up on target systems as a browser extension (except for Google Chrome) in order to promote third-party ads. We encourage you to hurry to get rid of this program, because it is known to display corrupted links that, when accessed, might take you to unsafe sites. Follow our removal guide below if you want to remove this app manually. Still, we strongly advise that you scan you computer with a reliable antimalware tool, as the manual removal might not delete all the files or registry entries that can be associated with the main adware application. 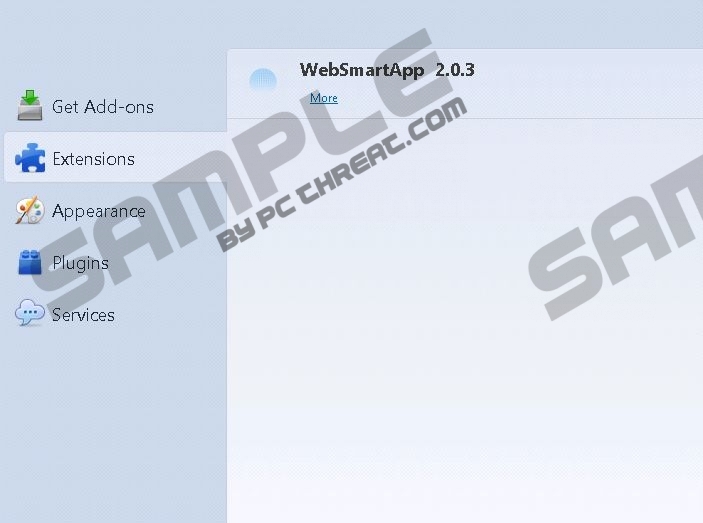 Choose WebSmart App in the program list and click Remove. Choose the program you want to terminate and click Uninstall/Change. Open the Charm bar and choose Search. Type in “Control Panel” and select the corresponding item in the list. Select the WebSmart App in the list and click Uninstall/Change. 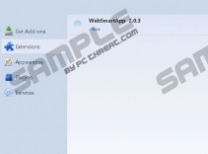 Quick & tested solution for WebSmart App removal.